Up On Tippy Toes: HUGS!! 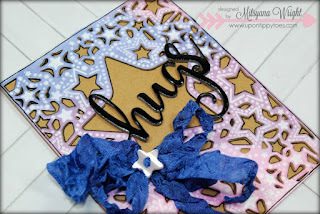 Today, I'll be sharing with you this unique card I made showcasing products from Xyron and Imagine Crafts. 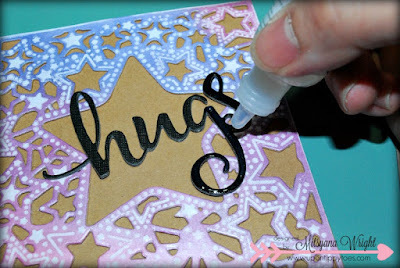 And, today I will show you how to do a shimmer resist technique on plain white cardstock. I started off by cutting the white cardstock into 4.25"x 5.25". 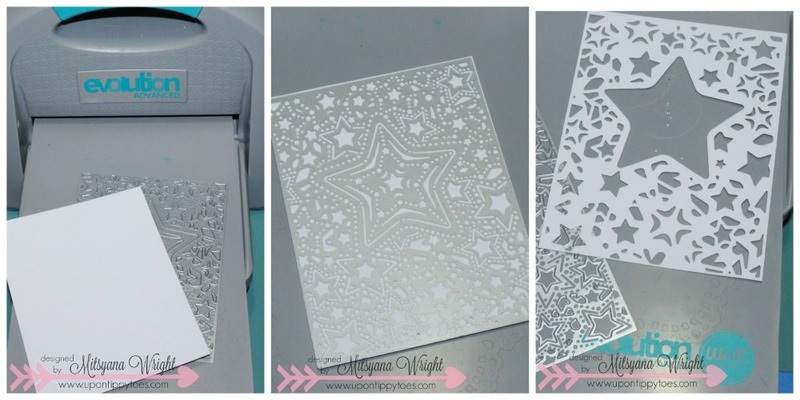 Then die cut it with the Shining Star die. Then ran it back through to emboss. Just a heads up, this die does not have a outer cutting edge... and that was the reasoning behind pre-cutting. I love all the raised details but I want to ink my cardstock. So, to keep all that lovely detail I am going to add a resist to the raised areas. **Clean die and sweeper immediately after this step! This is a texture spray and dries fairly quickly. You do not want these to dry onto your tools. Once the the goosebumps has dried, use a clean Ink Sweeper an apply the Brilliance Twilight ink, one color at a time, overlapping and blending between each color. As you can see, all the raised images have resisted the ink. I also die cut two more of these"card fronts" from Kraft paper. Then ran them all through my Xyron Creative Station Lite and adhered them on top of each other, placing the inked one on top. I then attache this piece to an 4.25"x 5.25" (Folded) card made from more Kraft cardstock. 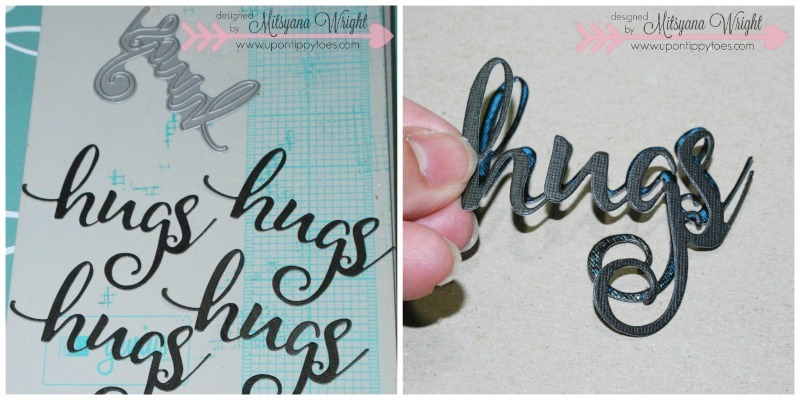 I also die-cut the word "hugs" from black cardstock 5 times. I used a glue pen and layered the directly onto each other. Then adhered the stack onto the card front. And for a bit more shine and even more dimension, and coated the HUGS with Glaz On. This gave my hug a really glossy finish. 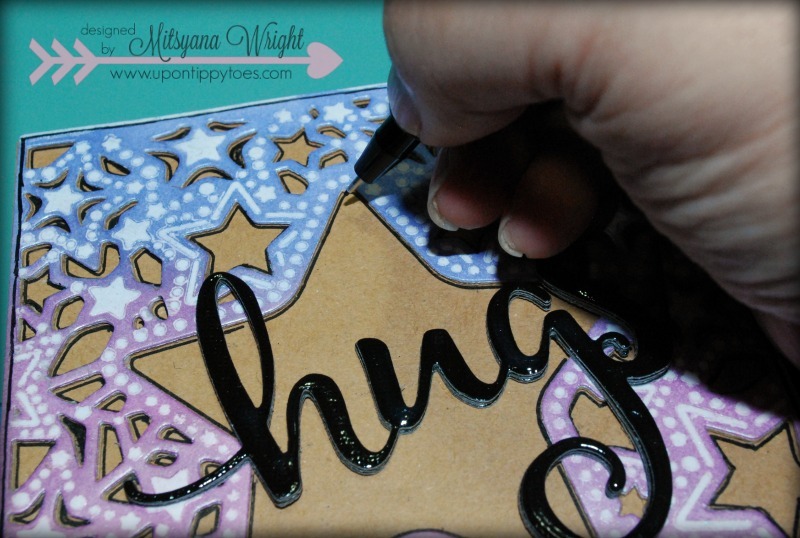 Once the glaze dried, I outlined the edge of the card as well the cut-out areas. This really made the die-cut pop!! Finally, I attached a bow made from ribbon with a cute star shaped button. 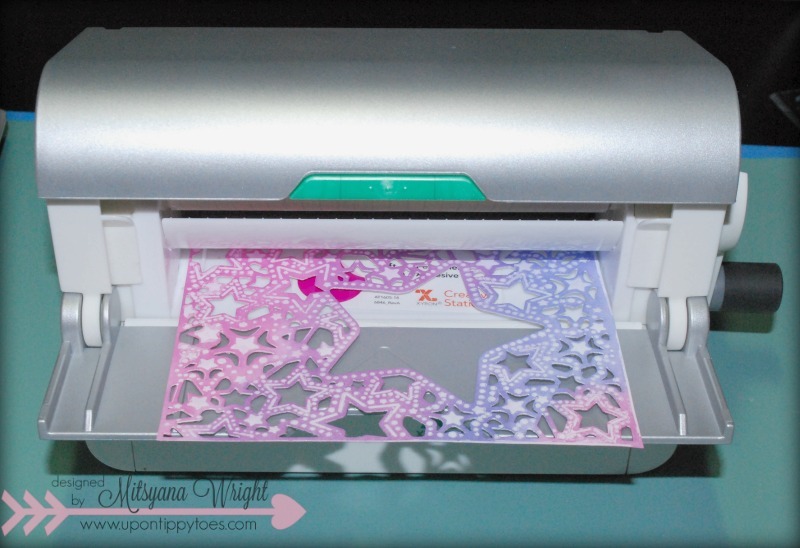 I also matted the inside of my card with plain white cardstock using my Xyron Mega Runner. This gave me a place to write on the inside and added some stability to my card. Don't forget to stop by the Xyron and Imagine Crafts Facebook page to see even more awesome projects!! Wow, this is stunning! Great idea!